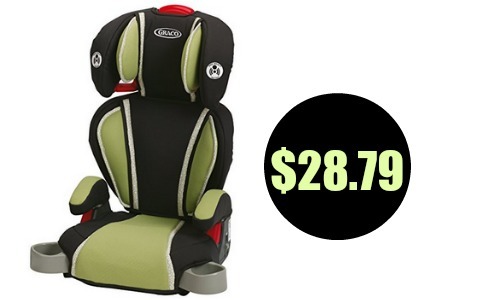 Head over to Amazon to grab the Graco Highback Tubobooster Car Seat for $28.79, regularly $49.99. This seat is to be used for kids that are 30-100 pounds and easily converts into a backless booster seat. This same seat is currently $45 at Walmart, so go ahead and grab it on Amazon for this price while you can. Prices can change at anytime. Shipping is FREE with Prime.